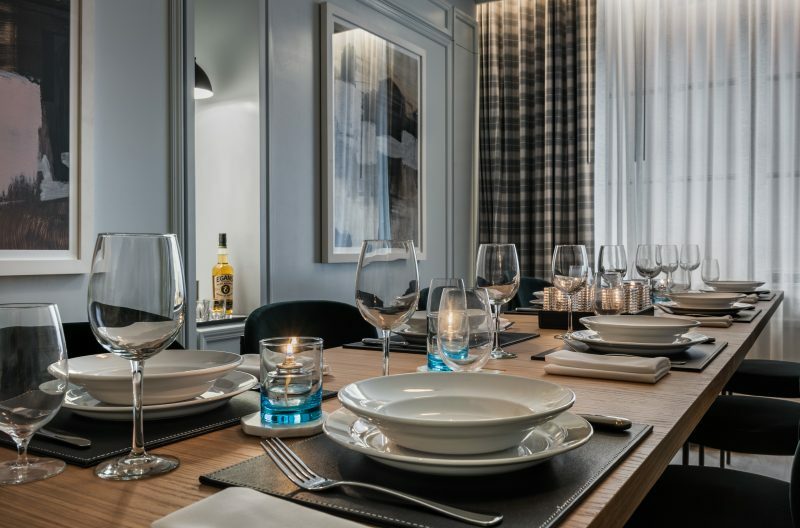 There’s no need to hop the pond to enjoy the Irish tradition of cead mile failte, or “100,000 welcomes” in Irish, thanks to New York City’s newest hospitality venture, Merrion Row Hotel and Public House, opening this weekend. Standing at just 28 rooms, the intimate hotel is the perfect choice for stylish and welcoming accommodations in the heart of Midtown. 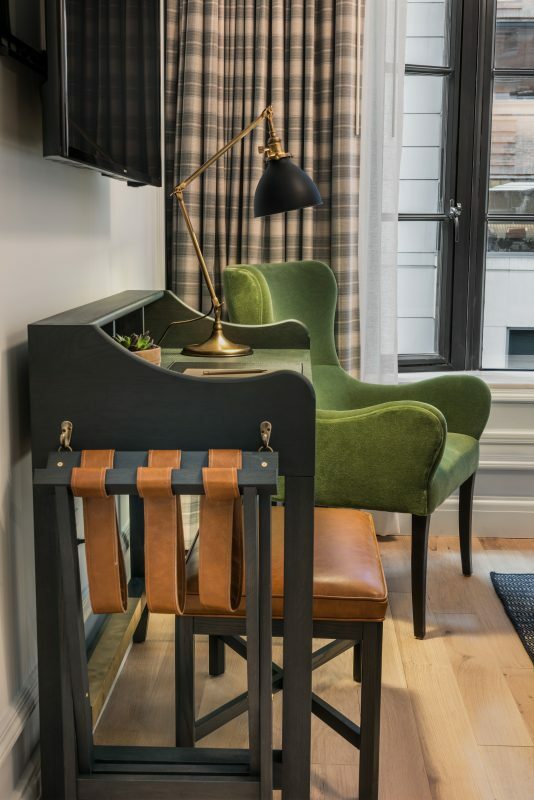 Each of the 28 rooms offers contemporary styling, with white oak floors and pops of Irish-inspired plaid. Tiger leather headboards add a more manly touch, while pops of blues and greens keep the rooms from feeling dark. Bathrooms offer black and white subway tiling and Calcutta white marble vanities with brass accents. 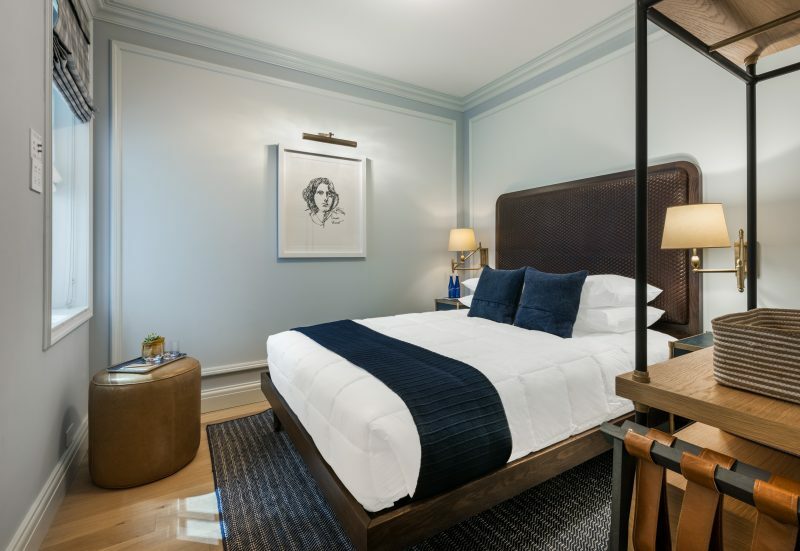 Designed by Meyer Davis Studio, the hotel blends modern energy and sophisticated tradition in a revived Beaux-Arts building, marrying the best parts of history and new design. The Public House, anchoring the building’s first floor, delivers a convivial community spirit. Expect twists on traditional Irish and New American pub favorites, like Guinness Shepard’s Pie Empanadas and Bangers in Blankets pair well with the 24 beers on tap. Perfectly positioned near Bryant Park, the Theater District, and Rockefeller Center, the property draws inspiration from Dublin, where the energetic strip of good-natured pubs referred to as Merrion Row meets the stately Georgian row houses encircling Merrion Square. 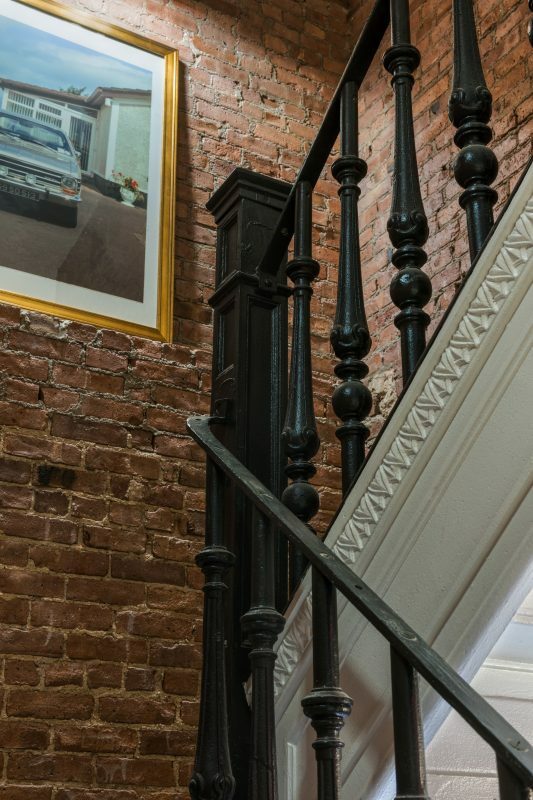 That community spirit certainly rings true; we expect the hotel will feel much like a bed and breakfast due to its intimate size, but with the amenities one expects in a New York City area hotel. 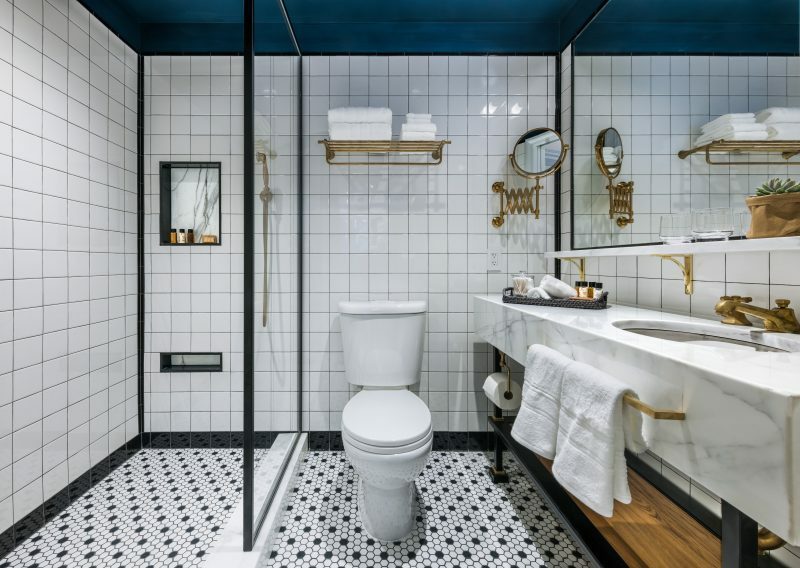 Rates start at $299 a night, making this a design-focused but budget-friendly entrant into the New York City hotel scene. The Public House is open to guests and locals alike for lunch, drinks, and dinner daily.